Sweet sound, a rich feature set, and a small footprint make this one of the best small DAPs on the market. 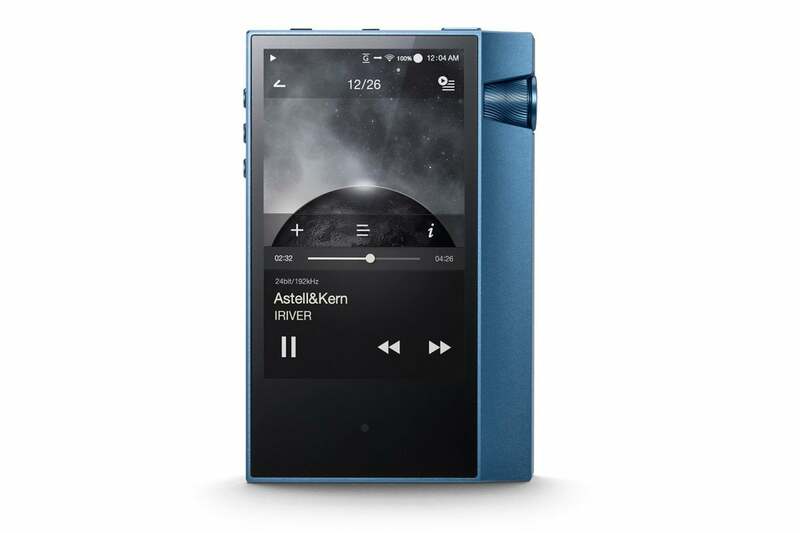 The Astell&Kern AK70 MKII delivers a number of refinements that easily makes this powerful, flexible, and sweet-sounding hi-res digital audio player the best in class. 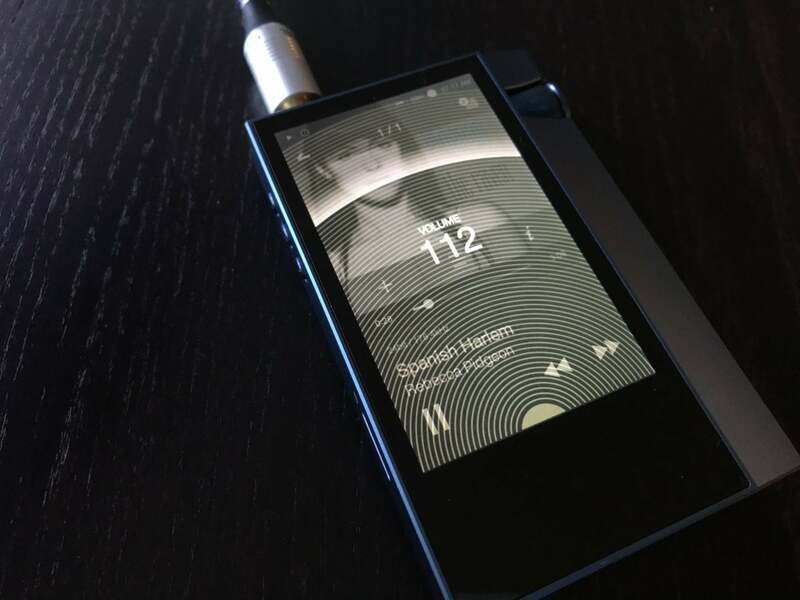 When I reviewed the original Astell&Kern AK70, it checked off all the right boxes: Sleek styling, compact size, superb audio performance, and a robust feature set. Now Astell&Kern is back with an updated version of the AK70, designated as MarkII or MKII. Diehard music lovers who want to squeeze every ounce of fidelity from their music won’t mind shelling out the additional $100 commanded by the new model’s numerous refinements. The player itself is the same 3.81-inch height, but measures a hair thicker (0.59 inches) and wider (2.47 inches). It’s still highly portable and fits in a front or back pocket with ease, weighing a modest 5.29 ounces. While the screen size remains exactly the same, the beveled side and knurled volume dial are where you’ll notice the size difference. Even though the volume dial is just a bit larger, it makes a remarkable tactile difference when using the AK70 MKII. It felt more natural to use, and my thumb rested perfectly along the AK70 MKII’s right side. The volume dial sports a new, wave-knurled pattern, which gives a cool visual when it reflects light. The AK70 MKII (left) and the original AK70 on the right. The MKII’s all-aluminum body comes in your choice of two new colors, cadet blue or black. My review sample came in the former and it’s gorgeous. The DAP’s rear has a smooth, glass finish, with a midnight blue hue underneath. You’ll find further refinements inside: Unlike the initial model, which had only a single Cirrus Logic CS4398 DAC, the MKII has dual Cirrus Logic CS4398 DACs—one dedicated to each channel. The left and right channels are fully separated from input to output. The Astell&Kern AK70 MKII plays back 24-bit/192kHz signals bit-for-bit. It will downsample 32-bit audio with a sample-rate converter. A 32-bit/384kHz file, for example, will be downsampled to 24-bit/192kHz, and 32-bit/352kHz files get downsampled to 24-bit/176kHz. DSD 64/128 files are supported as well. Just about every lossless and lossy codec is supported, including FLAC, ALAC, WAV, APE, AIFF, DFF, DSF, OGG, AAC, and MP3. The player won’t playback protected AAC files, such as those downloaded from Apple Music’s subscription-based streaming service. You’ll want to use the highest-quality music files you can, because the AK70 MKII is a very revealing digital audio player. Excellent recordings in hi-res sound great. Mediocre quality music files show all their flaws. The AK70 MKII’s cadet blue color is stunning. MQA is the only major codec not supported. 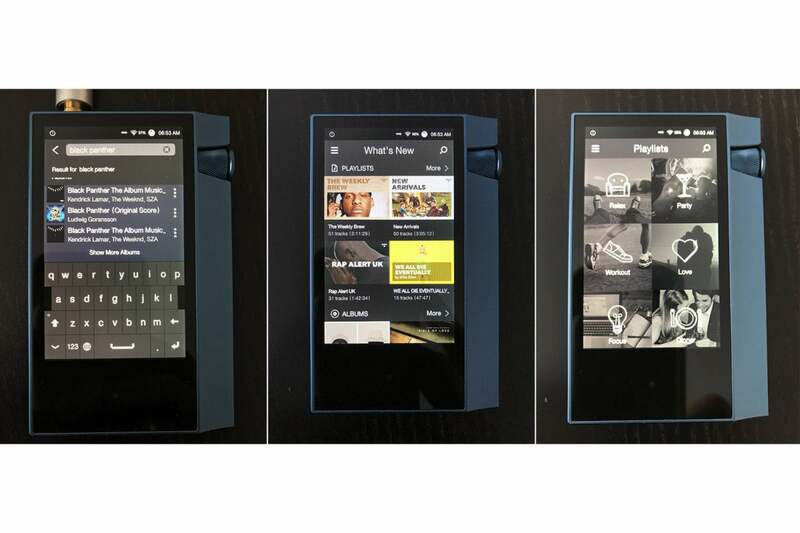 I asked Astell&Kern about MQA support and the team told me, “We currently do not offer MQA support, but it is a feature we are looking into. We do not have an ETA on when we may support it.” If and when this happens, you’ll most likely be able to add MQA support via a firmware update. The AK70 MKII has upped the specs over the original in just about every area. There’s more power output to drive a wider range of headphones. Balanced audio output has gone from 2.3Vrms to 4.0Vrms. The signal-to-noise ratio has improved 2db to 118dB for unbalanced connections, and +3dB for balanced connections to 119dB. Crosstalk, total harmonic distortion and noise, and even the battery have all received modest bumps, too. The battery has gone from a 2,200mAh to a 2,500mAh 3.7V Li-Polymer. Because of the dual DACs, however, you wont get extra run time. Expect at least a solid 4- to 6 hours of battery life with mixed use. The onboard 802.11n Wi-Fi and Bluetooth 4.0 adapters will give you enhanced functionality, but will also drain the battery faster. Speaking of the battery, a standard micro-USB input is used for both charging and data transfer. If you’re using a Mac, you’ll need to download the free Android Transfer Utility to copy files from it to the AK70 MKII. 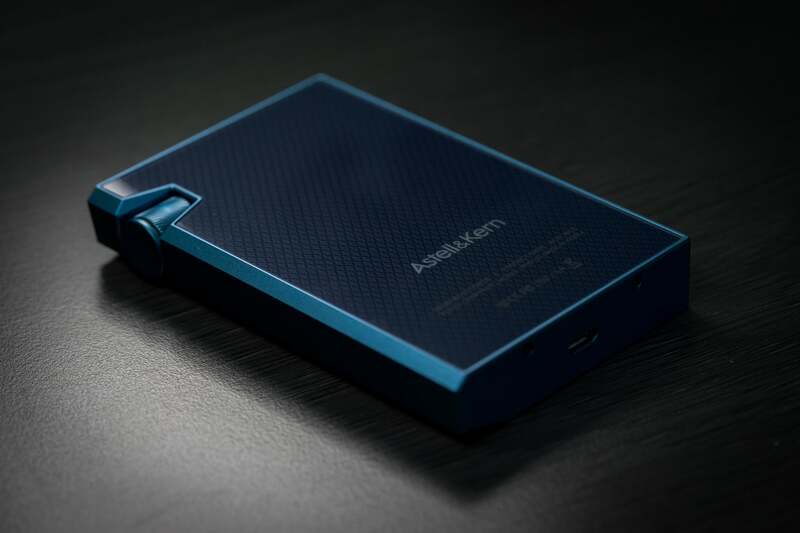 The AK70 MKII’s storage will pop up and you can drag and drop files to the player. If you have a particular folder hierarchy that you prefer, the player’s interface will allow you to browse the internal storage by folder structure in addition to the standard album, artist, genre, and playlist views. 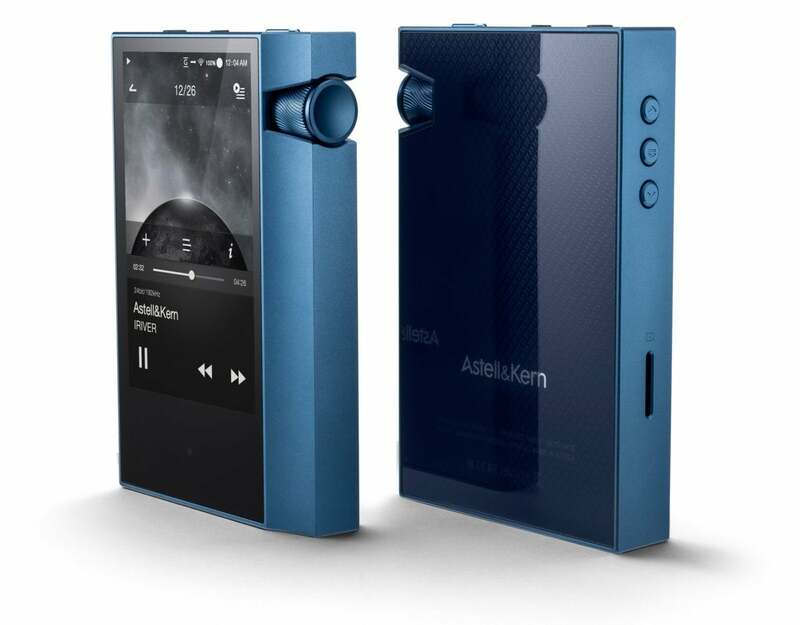 The AK70 MKII has the same interface as the rest of the Astell&Kern lineup, and the AK70 MKII’s touchscreen interface is excellent, though you will experience a fraction of a second lag at times. The biggest annoyance is waiting 1- to 2 seconds for album art to load in list or grid view. 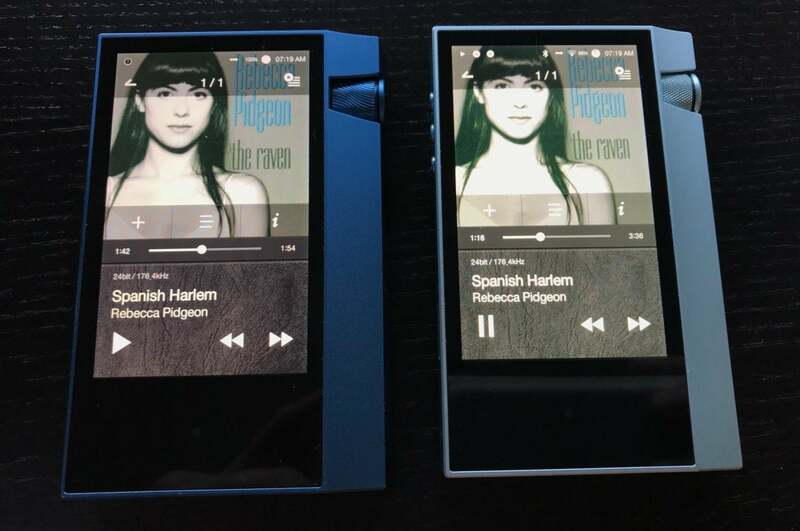 This is a common issue with Astell&Kern players. The AK70 MKII has a slight interface lag that’s noticeable when you scroll through album art. Swiping down from the top exposes all the player’s settings. If you’re one of those people who doesn’t read user manuals, you’ll drive yourself crazy trying to find the player’s settings. Note that if you purchase one of the AK70 MKII’s protective leather cases, the top portion of the leather case will make it difficult for you to get a perfect swipe from the top. Swiping down from the top exposes the player’s global search feature, which is handy if you’ve loaded thousands of songs. The only beef I have is that the screen’s small size makes typing on the keyboard a bit difficult. In addition to touchscreen options, physical buttons on the left side give you the ability to play/pause and advance or go back tracks. Just about every hi-res audio device limits volume control to its analog dial. You therefore can’t use a headphone’s inline remote control to adjust the MKII's volume. The volume control is all analog. 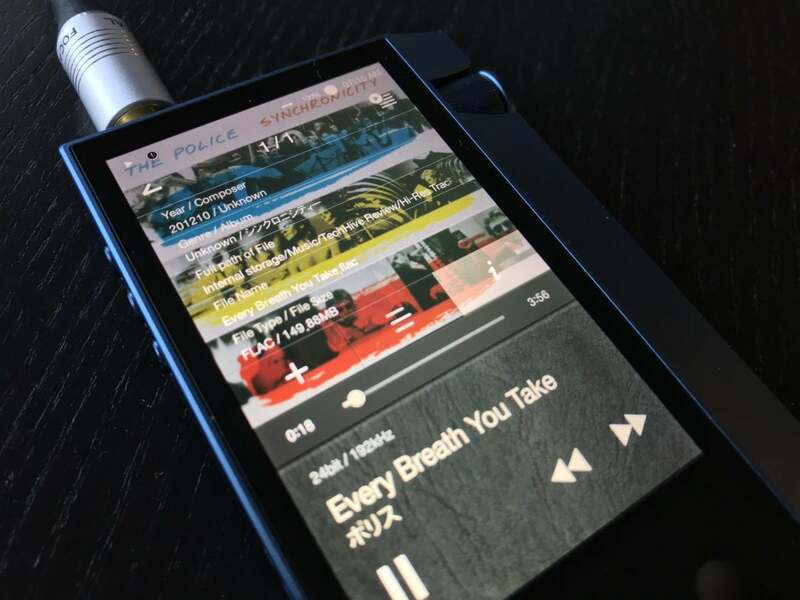 If you think of the AK70 MKII as simply a digital music player, you’ve totally missed the memo: This is one of the most versatile hi-res DAPs on the market. For example, you can connect the AK70 MKII to your Mac or PC and use it as a high-end 24-bit/96kHz USB DAC, bypassing your computer’s typically inferior internal headphone amp and DAC. 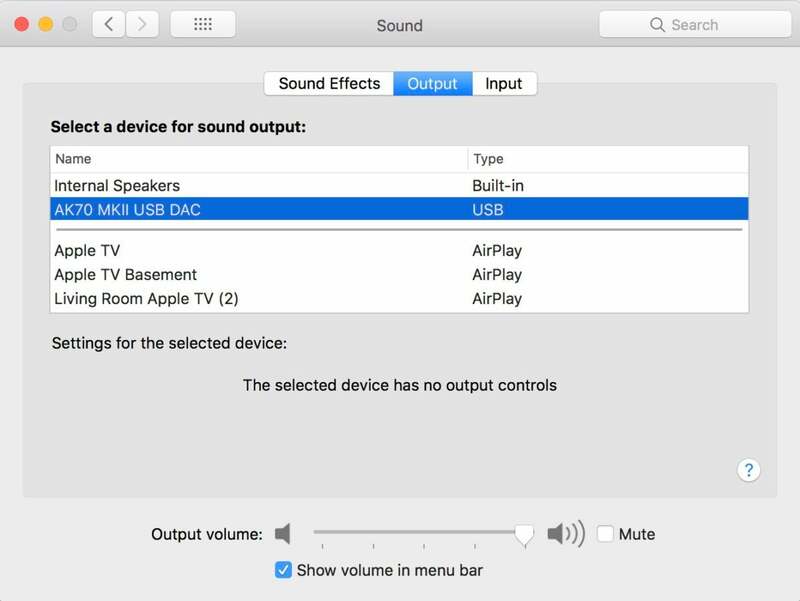 I plugged in the AK70 MKII to my MacBook Pro, set it to DAC mode—and bingo—I was in business. I was able to use the AK70 MKII as a USB DAC with my Mac. The AK70 MKII can work in the reverse, too, as a USB digital audio out. Simply connect a USB OTG (On-The-Go) cable (not included) to the micro-USB port and the AK70 MKII can serve up music files stored on the device to your amplifier of choice. It will also play DSD files via DoP (DSD over PCM), in which a DSD file is sent on top of PCM data frames. The AK70 MKII will connect to any DLNA server; in fact, Astell&Kern’s MQS streaming server is a free DLNA media server available on both the Mac and Windows platforms. The AK70 MKII will play any supported media file from your network. Using the AK70 MKII’s AK Connect feature, I was able to access both the MQS streaming server and my Twonky DNLA streaming server. I browsed and played content in a variety of hi-res music formats via both servers without issue. 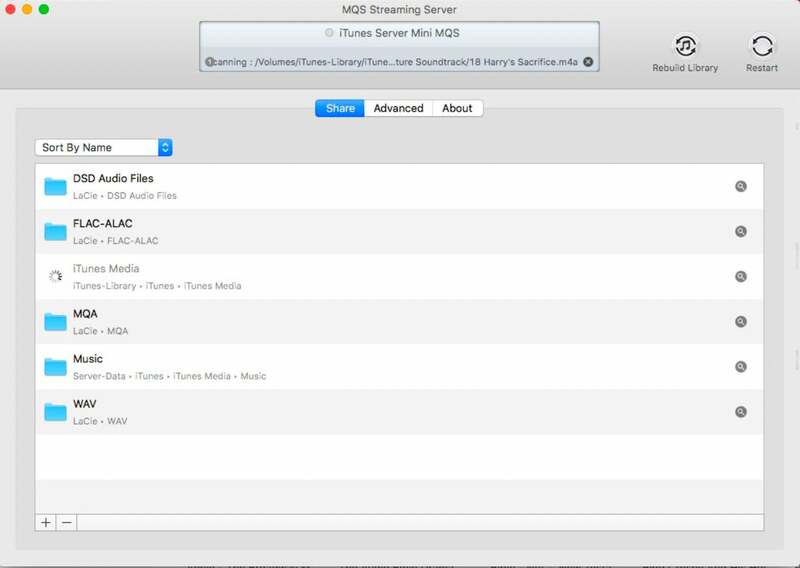 You can select any folder, volume, or share to stream music from with the free MQS Streaming Server. 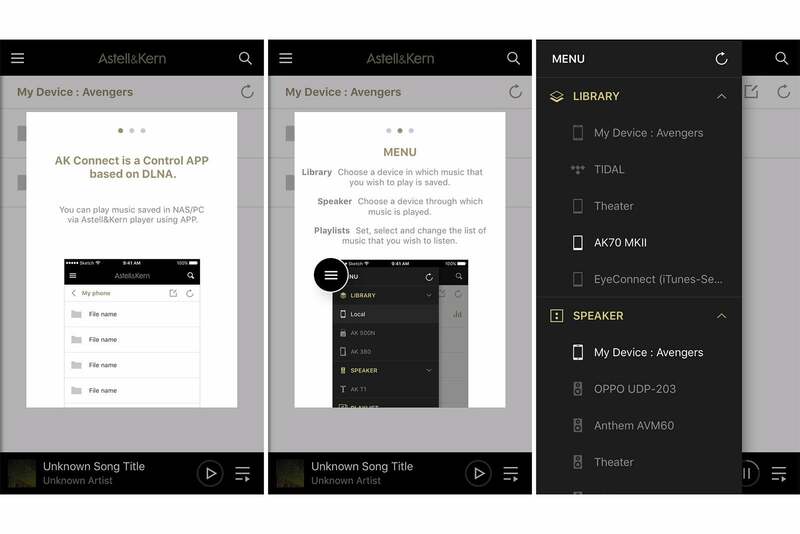 The free AK Connect mobile app (available for both iOS and Andriod) creates a seamless bridge between your iOS or Android smart device and the AK70 MKII. I could use the app as a remote control for the AK70 MKII and play content from the AK70 MKII on my iPhone—including FLAC and DSD files that the iPhone doesn’t natively support. In other words, the AK70 MKII can act as a full-fledged, portable music server! The app is sometimes sluggish; but all in all, it adds to an already rich package. The AK Control mobile app provides additional features and flexibility including remote control and media server functionality. The AK70 MKII supports aptX HD, enabling you to stream hi-res audio up to 24-bit/48kHz wirelessly via Bluetooth. While very few wireless headphones support aptX HD today, you can easily add Astell&Kern’s own XB10 Bluetooth amplifier and DAC to enjoy wireless hi-res audio convenience with any pair of wired headphones. The AK70 MKII will function as a normal Bluetooth streamer as well. I paired it with my car’s Bluetooth head unit easily. Rounding out the player’s wireless features, the AK70 MKII comes with native support for the Groovers+ and Tidal streaming music services. I use Tidal on a regular basis and appreciated being able to have that added streaming convenience. The quality of streamed Tidal music is excellent; unfortunately, I couldn’t take advantage of the service’s MQA streaming support. Pressing “info” will give you basic information about the music file’s format, path, genre, etc. if it is present in the file’s metadata. I paired the AK70 MKII with several over-the-ear headphones, including the outstanding Focal Clear, Oppo PM2, and B&W P9 Signature. I also tested the player with Periodic Audio Beryllium, Fiio F9 Pro, Aurvana Trio, and B&W C5 in-ear-monitors. I used the Fiio F9’s 2.5mm balanced cable option with the AK70 MKII. The overwhelming majority of source material was hi-res FLAC and ALAC files, CDs ripped as ALAC files, and a handful of AAC-encoded files for comparison. Ratchetings things up on well-recorded tracks and quality hi-res music files raises the stakes even more. The clarity and timbre of Rebecca Pidgeon’s vocals on the 24-bit/176.4kHz FLAC version of “Spanish Harlem,” from Chesky Records, were to die for. I could easily follow the last decays of her vocals as they disappeared into silence. The allure of female vocalists such as Adele, Ruth B., Karen Carpenter, Norah Jones, Holly Cole, Patricia Barber, and Stevie Nicks became a siren song. I lost track of how many times I replayed Loren Allred’s “Never Enough” from The Greatest Showman, trying to soak up every vocal nuance. The AK70 MKII has a knurled analog volume control and both unbalanced and balanced headphone outputs. Piano notes on the 24-bit/88.2kHz FLAC version of Daft Punk’s “Within,” from Random Access Memory, were rich and full bodied, devoid of that toy-like piano sound lesser players can give. Dynamics on “Get Lucky,” with Pharrell Williams, nicely conveyed the song’s energy. Deep bass notes on Sarah McLachlan’s “Fumbling Towards Ecstasy (Junior Boys Mix),” Bonnie McKee’s “Trouble,” “Imagine the Fire” from the Dark Knight Rises soundtrack, Michael Jackson’s “Dirty Diana” from Bad, and Kings of Leon’s “Walls” were rendered with superb control and definition. Bass had all the mastery, impact, and detail that makes it go from plain old sound to foundational musical note. Top to bottom, the tonal balance of the AK70 MKII was excellent. Yo-Yo Ma’s Cello and Kathryn Stott’s piano on the “Swan” from the album, Songs from the Arc of Life literally made the hairs on my arms stand on end. I was able to crank up the volume on the AK70 MKII without the hi-res player’s amp exhibiting a hint of strain or harshness. 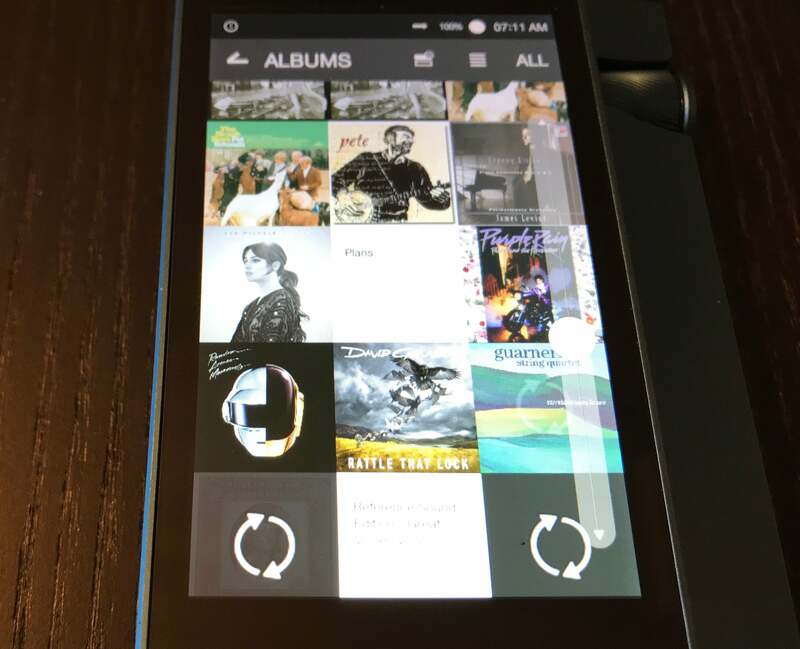 The AK70 MKII has a built-in Tidal app. Don’t think there’s a difference between devices and file formats? Let’s take the 16-bit/44kHz Trolls soundtrack that I ripped from CD. Not an audiophile title by any means. Played on the AK70 MKII, the bass on “Hair Up” starts and stops on a dime—controlled and articulate. The soundstage on the AK70 MKII was three dimensional, instruments breathed in their own space and time. An iPhone 7 playing the AAC-encoded version flattened everything out on the same track. Bass notes lost significant definition, musical details were smeared, and the troll vocals at the beginning of the song had a distinct hazy quality to them. The same was true of the Black Panther soundtrack via Tidal between the iPhone 7 and the AK70 MKII. The match strike at the beginning of the title track, “Black Panther,” had a crisp, defined top end, a clean midrange, and an articulate bottom end on the AK70 MKII. Piano notes came from a more three-dimensional, deeper soundstage. Not so on the iPhone. The top end was muted, midrange veiled, and the bottom end unrefined. 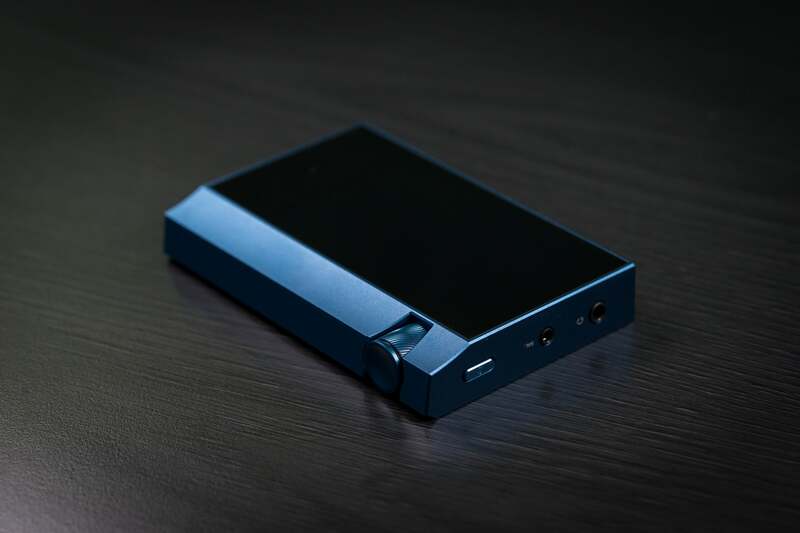 Astell&Kern AK70 rear with micro USB charging and data transfer port visible on the bottom. I happened to have Astell&Kern’s more-expensive Kann ($999 MSRP) on hand for a forthcoming review. There is indeed a sonic difference when you move up the line. Comparatively speaking, the Kann has an even smoother sound with stronger and more dynamic bass than the AK70 MKII. When paired with an open back pair of headphones like the Focal Clear or Oppo PM2, I appreciated the Kann’s stronger bass output. Seriously, what more can I say about the AK70 MKII? Consistently outstanding musical reproduction that will make you hair stand on end; the ability to drive balanced and unbalanced headphones; USB DAC functionality; micro SD expandability; aptX HD over Bluetooth; flexibility and features galore—and you get all this in a stylish form factor that fits into your pocket for $700? Let me just say it: Astell&Kern’s AK70 MKII hi-res DAP is arguably one of the best if not the best pocket-sized hi-res DAP packages around. Paired with an equally good pair of headphones, the AK70 MKII becomes nothing short of a high-octane, musical powerhouse. It earns my highest recommendation. The Astell&Kern AK70 MKII delivers a number of refinements that easily make this powerful, flexible, and sweet-sounding hi-res digital audio player one of our perennial favorites. Slight lag in the on-screen user interface.